Among dozens of entries for Nasscom GDC's annual awards, a handful of developers stood out from the crowd. Over the course of nine hours in a nondescript hotel function room, my fellow judges and I were provided with a rare overview of India's games industry: developers of all stripes showcased their latest games, from self-starting graduates to part-time indies to small but established studios. A vivid mix, to be sure, and inconsistent in terms of quality, but that variety only served to highlight those who already seemed ready for prime-time. June Software was one such company. Founded in 2010, June is notable for having passed through Y-Combinator, the Silicon Valley seed accelerator that also helped nurture Game of War: Fire Age developer MZ - once known as Machine Zone. This is a point of considerable pride for Roby John, June's founder and CEO, as are the 60 million installs the company has amassed so far, and with good reason. Such achievements are not entirely unprecedented in the Indian industry, but they are rare, and June now has the belief and the ambition to chase success worldwide, without having to neglect the local market. Speaking to Roby John on the expo floor, it's clear that the India requires a very different approach to markets elsewhere in the world. More importantly, it requires different technology to what most Indian developers are using. "Most developers here aren't giving themselves a chance to succeed," he says. "Why we succeed, why we're successful, is that we first build the engine that allows us to experiment. Games are not one size fits all. You have to keep tuning, and most people don't understand that." "In India the whole country changes every 200 miles: new language, new city, new culture. That's the kind of localisation we need"
The expo floor is thronged with companies selling tools and services to address every conceivable problem, or engines that promise to address them all in one neat package. John gestures toward the booths that surround us; these shortcuts, he says, can be obstacles as well as opportunities. "Everybody is selling you tools for everything, but that's only creating data silos. Understanding games and analysing the data is a hard job, and that makes it even harder. Our system puts it all together. We have one single view of the user, which helps us to make games faster, and to make games better." In terms of its potential as a market for games, India is still in its early stages. Last year, Yellow Monkey Studios' Shailesh Prabhu highlighted many issues that still need to be resolved for progress to be made, while Moonfrog's Mark Skaggs now sees the market as a bet that could take as much as a decade to pay off. The problem is that demand for mobile games is growing each year, even if the those playing generally lack the ability or resources to pay. June Software is seeking an answer, and it is doing so through proprietary technology. June Software's engine - called "Minion" - allows the company to press what John refers to as its "home court advantage," exercising a high degree of control over details that can make its products stickier and more lucrative. John shows me a demonstration of a runner game featuring Chhota Bheem, an animated character whose standing in India rivals that of the most famous Disney characters elsewhere in the world. The Minion engine lets June swap out assets quickly, easily and in real-time, the driving force behind a strategy John calls "hyper-localisation." In practice, this means that everything from the streetlights to the shopfronts to police uniforms can be tailored to match those in a given city - the kind of local flavour that distinguishes India as a country, and that John believes will be vital for appealing to the Indian mass market. "Now we're in Hyderabad, but in India the whole country changes every 200 miles: new language, new city, new culture," he says. "That's the kind of localisation we need." This granular, real-time control is also essential to monetisation. Getting people to pay is a significant obstacle in the Indian market, so games must bring in almost all of their revenue through licensing and advertising. 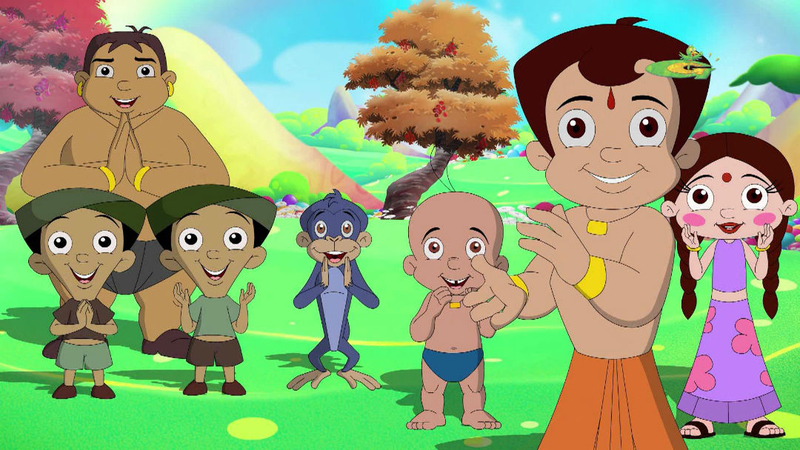 June's Chhota Bheem title, John tells me, can draw on several dozen existing partnerships with consumer products, from cookies to chocolate milk to Coca-Cola. "Creating that non-intrusive, non-invasive kind of approach is a technology problem, a design problem, and one that requires a little bit of thought," he says, emphasising how fractured the play experience could be with only interstitial and video ads to make up for the absence of in-app purchase revenue. However, just as the Minion engine can swap out a train guard's hat to give a game local flavour, it can do the same for in-game objects and environmental details that can be used for more subtle, organic branding. "We've solved realtime multiplayer [for mobile], which is a technical challenge anywhere in the world," John continues. "But we also use that same technology to write code on our backend that ships to the client and changes things. I can change the glass in your hand from a plain glass to a chocolate drink bottle." "Where does success in game development come from? It comes from spending years doing one thing and doing it really well"
Like most developers in the country, though, John regards the Indian market as a long-term play; one that it's smart to prepare for now, but not yet large enough to be the driving force for his company. June Software has grown very carefully over the years, adding just 20 people to the team of 12 it had back in 2010, all of whom joined to push towards that goal of mastering real-time multiplayer for mobile. That technology has given June an advantage in the Indian market, but it was really built for success on the global stage. "We want to be able to say that Y-Combinator funded two good game companies - one is Machine Zone," John says, chuckling. "If you want to play in that league, you have to compete in that league. More importantly, where does success in game development come from? It comes from spending years doing one thing and doing it really well." The best expression of that guiding philosophy so far is MaskGun, a highly polished and gratifyingly quick 5v5 arena shooter, custom designed for touch controls. The iconography and colour palette will be familiar to any seasoned FPS player in Europe or the US, and that's entirely deliberate - this is not a game built with only India in mind. At the time of my conversation with John, the game was still in a soft-launch period that had gathered 600,000 installs and more than 10,000 daily-active players. A few months before, June hired the prominent monetisation consultant Teut Weidemann to help improve and refine the game until the end of 2017 - a decision taken after John attended a talk in which Weidemann detailed "the evils of monetisation in free-to-play." "We wanted to avoid that," he says. "We want to accelerate our learning, and not make the same mistakes that others are making. Teut was the best person. We spoke to a lot of people, but Teut really understood our genre. It's amazing what he's done with the game in the last two, three months that he's been here." Beyond the potential to compete in more valuable markets than India, though, it's clear to me that MaskGun, and not Chhota Bheem, is the kind of game that John's team truly wants to make. And, should it find an audience when it launches globally in the coming months, its success could make June Software the kind of company Roby John truly wants to run. One way or another, 2017 will be a decisive year. "Making a world-class game, but from India - that's the number one goal," John says. "And I think that's the direction we're headed." GamesIndustry.biz is a media partner for Nasscom GDC. Our travel and accommodation costs were provided by the organiser.